PVA Craft Glue is easy to use and quick drying. 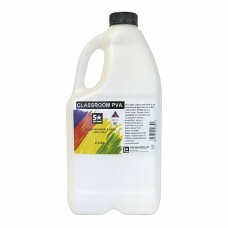 Ideal for general classroom activities - for bonding paper, card, light wood construction and textiles. This quality PVA Craft Glue adhesive is easy to apply, non-toxic and dries clear.